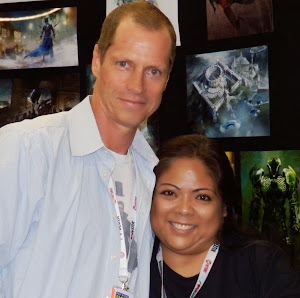 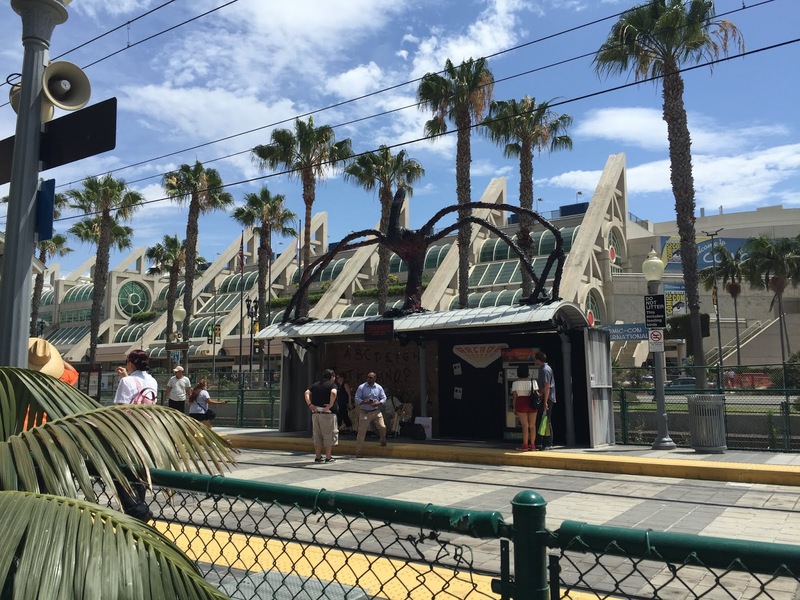 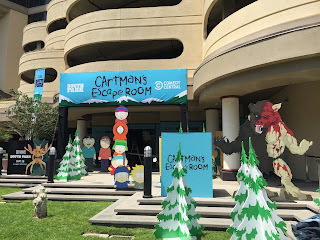 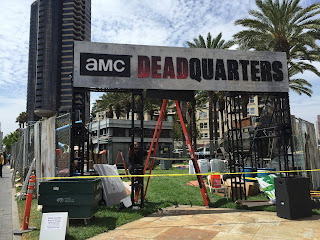 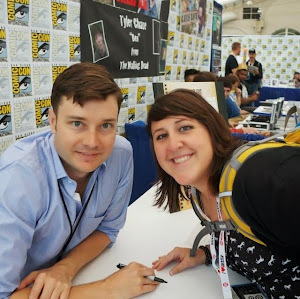 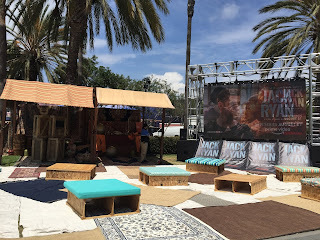 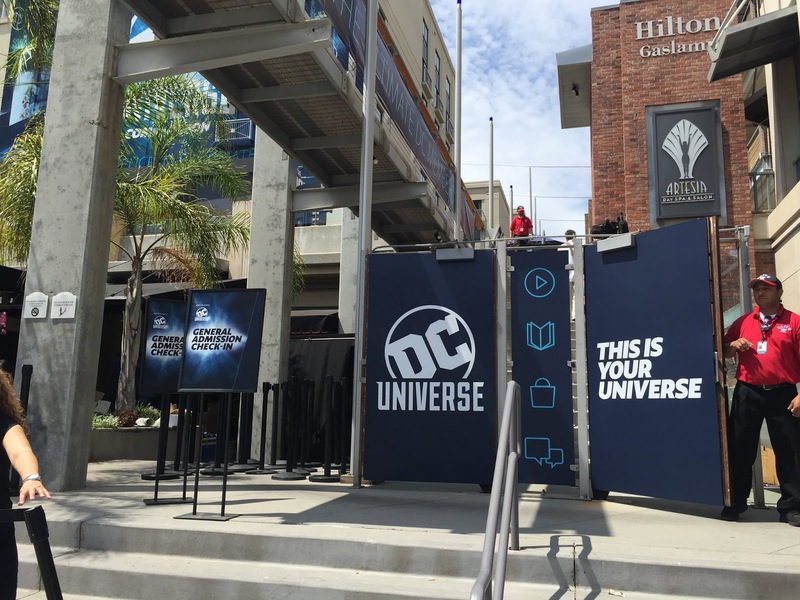 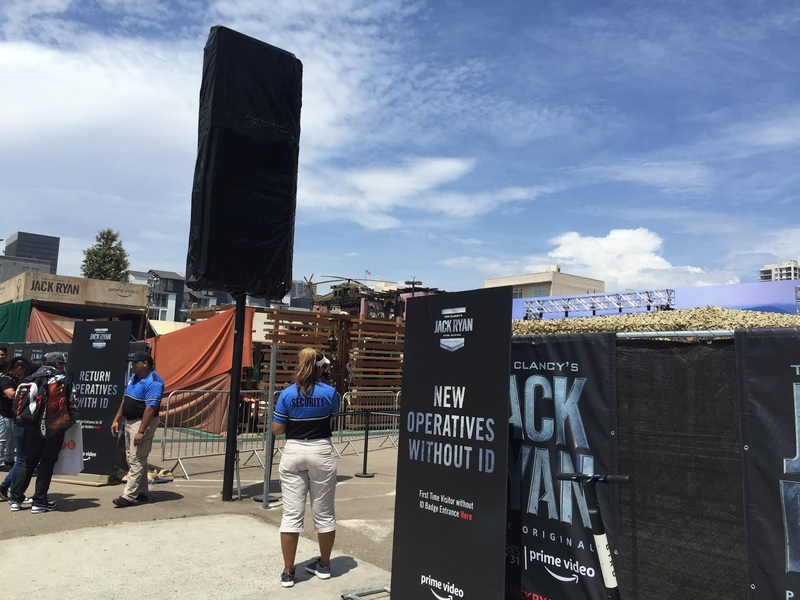 True to form of the ever-expanding scale of San Diego Comic Con, numerous TV networks and streaming platforms brought their own (interactive) exhibits for various portions of downtown San Diego, largely in the areas surrounding the convention center itself. Comedy Central put together an exhibit largely focusing on their long-running series, "South Park", which is set to being airing it's 22nd season later this year. In the latest wave of original programming, Amazon Prime is set to adapt a TV series in the Jack Ryan franchise. 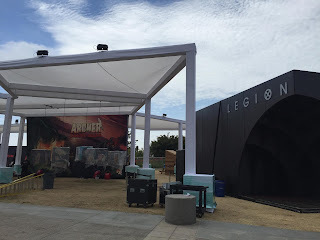 John Krasinski will be starring in the titular role, following in the footsteps of other big-name actors including Ben Affleck and Chris Pine. 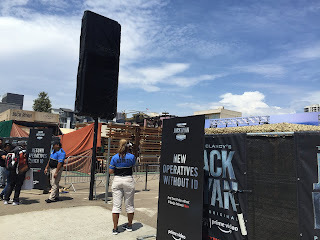 Their outdoor display spanned more than one block, and even included an impressive giant model helicopter to play into the spy/action theme of the franchise. 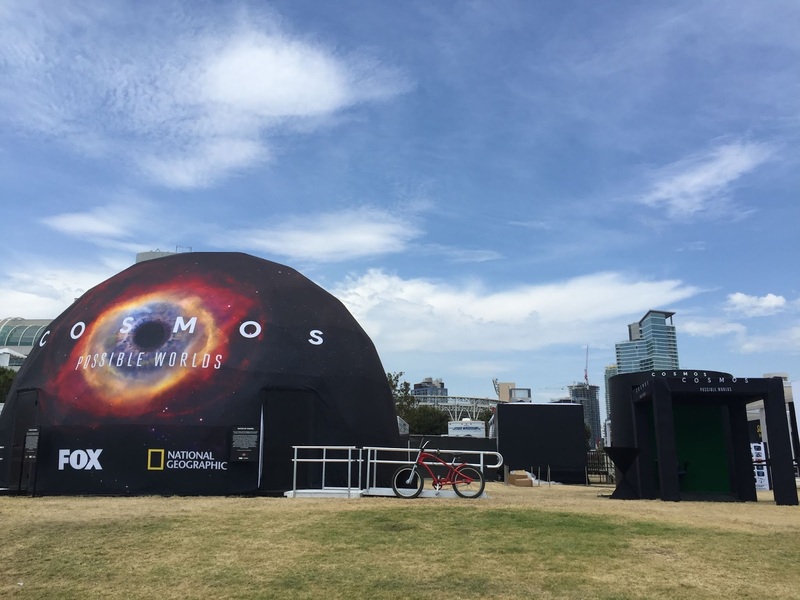 Anyone care to spoil what this giant arachnoid display atop a subway stop was promoting? AMC frequently sets up a prime, central spot to promote their long-running fan-favourite series, "The Walking Dead", and 2018 was no exception. 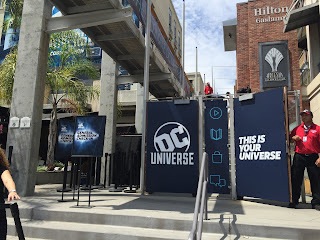 DC Universe is also expanding it's power and presence, with their highly anticipated "Titans" series set to premiere some time later this year. 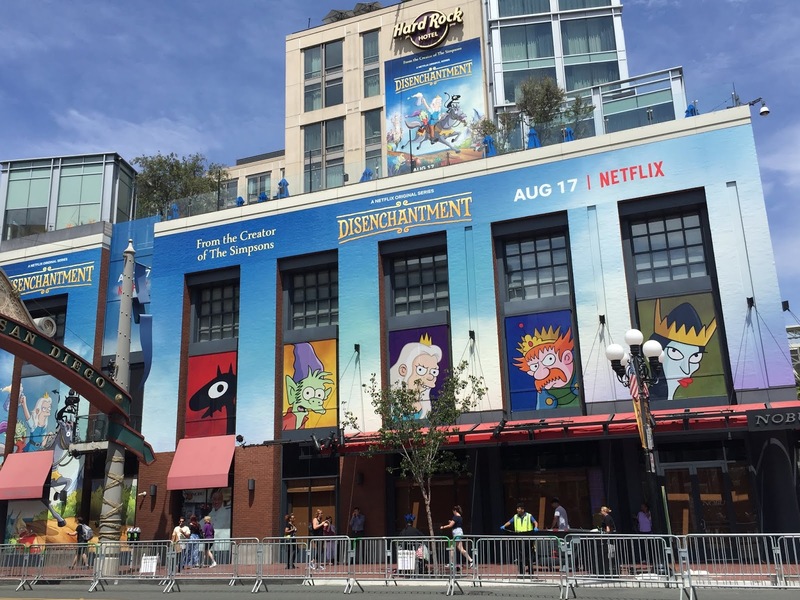 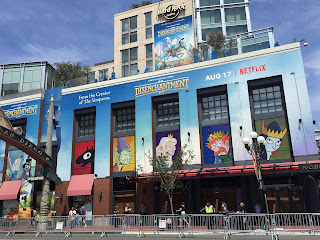 Netflix booked a massive display right on the main street to promote an animated fantasy sitcom called "Disenchantment" which will be premiering on August 17 and was created by Matt Groening (who is best known for creating "The Simpsons" and "Futurama". 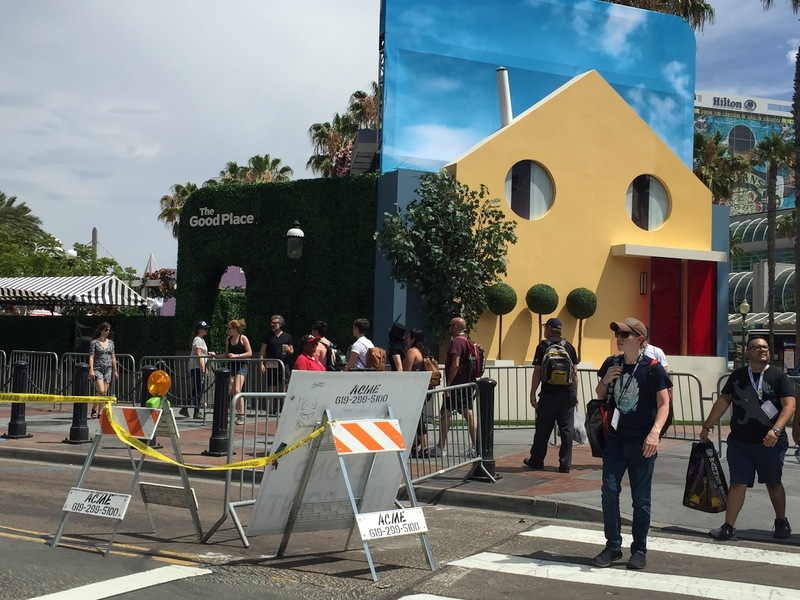 NBC brought one of the more unique displays, with a full house constructed in order to promote their hit fantasy-comedy television series "The Good Place" which will premiere its third season on September 27. 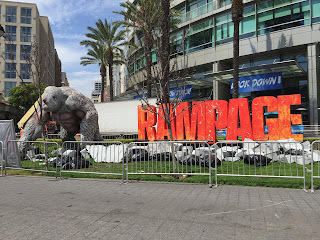 Despite already having been released months prior, Warner Bros. set up a display to promote the Rampage film (based on the video game), which starred Dwayne 'The Rock' Johnson and follows a recent upspike in Hollywood's preference for adapting kaiju content for big blockbusters. FX brought displays to promote some of their series including animated spy-comedy "Archer" and "Legion" which have both been renewed for new seasons that will air in 2019. Following the success of the 2014 series "Cosmos: A Spacetime Odyssey" (which was a follow-up to the 1980 television series "Cosmos: A Personal Voyage"), FOX has announced another season titled "Cosmos: Possible Worlds" which will air in 2019 on Fox and National Geographic channels.